With an estimated annual spend exceeding $100 billion, the US legal market is thriving. But while there’s plenty of raw potential in the market right now, finding the people who are looking for your services can be challenging. Running advertising campaigns that promote your firm, help you connect with clients and ensure that you stand out from the competition can be a time-consuming and costly endeavor. And finding the right advertising medium can mean the difference between your firm thriving with the market’s growth, or falling through the cracks. One of the most efficient advertising methods on the market is pay per click Internet advertising. If you’re looking to build your client base and spread awareness of your law firm, starting a PPC advertising campaign can be a highly effective way to see results. For legal specialists dealing with niche audiences and time-sensitive issues, such as pharmaceutical liability law and personal injury law, digital advertising is often the best way to reach customers because of the way it caters to the unique needs of the legal industry. Nearly a quarter of the current advertising market is made up by Internet advertising. Within that space, the legal industry is one of the most profitable segments. In 2012, the digital ad spend for trial attorneys alone topped $52 million, and that figure has been growing steadily since then. Proof of the success of these advertising campaigns can be found in the high level of competition among legal industry advertisers. With the most competitive keywords consistently costing over $100 per click, pay per click advertising is a lucrative space for law firms looking to build their business. By opting for PPC advertising, you don’t have to waste time and resources figuring out if your ads are reaching prospective clients. And while the most sought-after keywords can be very expensive, leveraging the experience of PPC experts keep costs down while still giving you great results. Your clients are probably already using search to look for lawyers. Google is oftentimes the first place people go when they’re looking for legal advice. 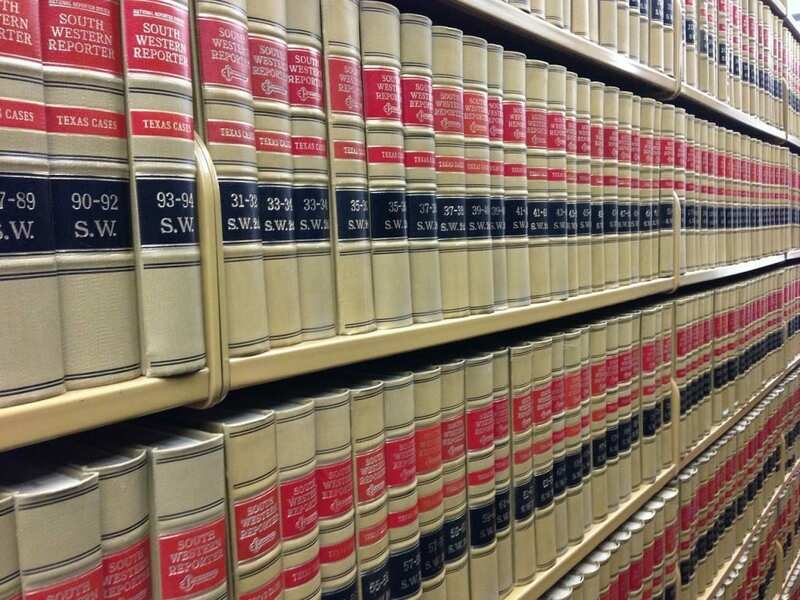 Up to 21% of people start their search for a lawyer using a search engine. By building an online presence, you can get exposure for your firm with the people who want your services. In most cases, the goal of advertising for law firms is getting a prospective client to call or email for a consultation. By leveraging PPC advertising, you’re reaching prospective clients on devices from which they can reach out to you directly, which often leads to a high conversion rate. This holds especially true for mobile PPC advertising, where we’ve seen great results for our clients in the legal industry. Google AdWords has built-in tools to help facilitate these points of contact, including plugins that automatically include a “call now” button in your mobile ads. Unsurprisingly, most law firms who specialize in a specific space are most interested in finding clients that need those services. To get the most out of your ad spend, you want to make sure that the people seeing your ads are a good fit for your services. The ability to pinpoint and target an audience is where pay per click advertising really excels. PPC advertising allows you hone in on keywords and phrases that relate to your specialty– that means fewer calls from people looking for divorce lawyers when you only deal in personal injury law. You can also target searchers with the ebb and flow of trends. This is especially relevant for pharmaceutical liability law, where costs for keywords like “mesothelioma” or “Yasmin” can skyrocket overnight as the news cycle covers and highlights new cases, and can fade in popularity just as quickly. Navigating the changes to the market can be challenging and time-consuming, but can also give you first-line access to a fickle and continuously changing market. By working with a pay per click advertising team like ours with experience in pharmaceutical liability ads, you can harness the benefits of pay per click advertising while minimizing risk. The web is a big place, but PPC advertising helps make it a little smaller. For some industries, the location of their customers and clients doesn’t matter much, but for lawyers and their clients, proximity can make a huge difference. Geo-targeted PPC ads let you focus in on serving ads to potential clients in your preferred locations, whether that’s a specific neighborhood, city or state. That focus can help garner better conversion rates and high-quality prospective clients than non-targeted advertising methods. For law firms looking to optimizing their advertising efforts and get the most value out of each advertising dollar, PPC campaigns can provide great results. Inbound ad campaigns have been shown to deliver 54% more leads than outbound ad campaigns. And since you only pay for the people who actually engage with your PPC ads, your ad spend is closely tied to the actual performance of your advertisements. While PPC is an excellent space for lawyers to find new business, it can be a time-consuming and expensive endeavor. The legal industry presents a unique set of demands and needs that require specialists with extensive experience to execute campaigns to their full potential. For individuals and firms new to the PPC advertising game, it can be all too easy to lose valuable resources on PPC campaigns that don’t convert. Webrageous specializes in legal industry PPC ad campaigns, making us a great resource for busy law firms who need high-quality advertising without a headache. Contact us today to discuss PPC solutions that will fit your needs and budget. We can get you started developing an effective pay per click advertising strategy with a great ROI. How does Webrageous help Law Firms improve their Google AdWords Campaigns? Webrageous continues to welcome new law firms needing help with their Google AdWords campaigns. The growing database of its clients is gained through favorable testimonials shared by Webrageous’ clients in the past. Satisfied law firms have shared testimonials about how Webrageous improved their Google AdWords Campaigns. 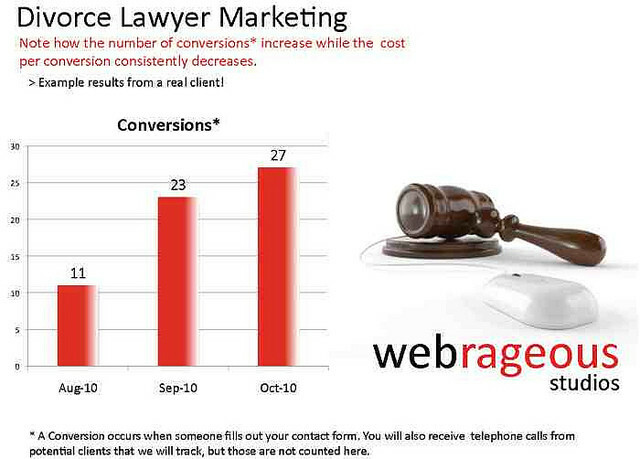 So how does Webrageous help Law Firms to improve their Google AdWords Campaigns? 1. Webrageous has a great track record. As of December 2012, 72% of Webrageous’ clients are discerning and reputable attorneys across the US. This 72% of US attorneys is composed largely of divorce lawyers, attorneys whose practices deal directly with medical device liability law and those who focus on pharmaceutical liability law. Webrageous is proud to say that it began managing the marketing campaigns for some of these clients from a 0% visibility in the market. Thanks to Webrageous’ efficient law firm Pay Per Click Management advertising, these firms have been able to get a higher position on the Google SERP. As more and more firms outsource their law firm Pay Per Click Management to Webrageous, the company continues to gain expertise in the fiels, allowing them to continue finding more efficient ways to create campaigns for law firms and advertising for US attorneys that can really generate successful results. 2. Webrageous never stops at one thing. Legal offices should outsource their law firm Pay Per Click Management to Webrageous because it employs a range of advertising techniques that allow its clients to move to the top of the Google SERP. Webrageous started as a Web Design Company but it didn’t stop at that. Webrageous continues to evolve and develop its skills from designing its clients’ websites to creating content for SEO purposes as well as managing Pay Per Click advertisements via Google AdWords. Webrageous is able to utilize these skills at the same time when running Pay Per Click campaigns for all its clients. Today, Webrageous can say that it is capable of making careful adjustments to its clients’ landing pages through skilled website designs, crafting intelligent content and efficient optimization with all the tools available through Google AdWords. Webrageous has also started servicing lawyers for their mobile websites designs. This is another reason why more and more organizations are outsourcing their law firm Pay Per Click Management to Webrageous. Webrageous designs mobile websites with a click-to-call feature. Webrageous sees the need for lawyers to have click-to-call extensions within their mobile pay per click advertisements because prospective clients will most likely need to get in touch with the law firms directly by telephone in order to best deal with their immediate legal concerns. As Webrageous stays in the business, it will never run out of innovative ideas to offer its growing database of clients. 3. There are effective and efficient people behind Webrageous. All businesses that outsource law firm Pay Per Click Management to Webrageous are assigned an exclusive Pay Per Click Account Manager. These Account Managers are skilled in managing campaigns and paid search marketing. They are highly trained in the management of advertising campaigns and focus on generating the highest percentage of conversions possible. Webrageous Account Managers are both creative and analytical. They can create witty image and video advertisements in the same way that they can scrutinize data and numbers. They also keep their skills up to date with the latest tools and Google AdWords advertising concepts. Whether a client needs to use the new Google Enhanced Campaigns or whether a client wants to adopt the new concept of “Art, Copy and Code”, Account Managers at Webrageous are skilled enough to know what the most appropriate approach or form of advertising to take, especially when it comes to law firm pay per click management. 4. Webrageous goes the extra mile. All firms that outsource law firm Pay Per Click Management to Webrageous are given the opportunity to call and email their Account Managers at any time that they need to shed light on anything about their campaigns. Webrageous always aims to get back to its clients within 24 hours too, should they miss a call or receive an email. Whether clients call to clarify new information or information that they are confused about, Webrageous Pay Per Click Account Managers will be available to take the calls. This is something that other Pay Per Click companies might not promise at all. 5. Webrageous has BBB Certification. Law firms should outsource their law firm Pay Per Click Management to Webrageous because it is a BBB (Better Business Bureau) certified company. A BBB certification is a mark that a company operates in good faith with its consumers and will respond to its clients any time there is a complaint. BBB has rated Webrageous Studios by evaluating the length of time that it has been operating, investigating complaints that were filed against the company (Webrageous is actually 100% free of complaints) and acquiring sufficient background information about the company too. For law firms that are convinced that they need to outsource their Pay Per Click Management to Webrageous, they can contact the company through the contact form available on this website. Pay Per Click advertising can generate interest from new clients for law firms no matter their size or area of speciality. 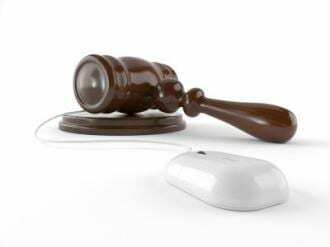 Whether it be family law, corporate, criminal or otherwise, your business must be in the competition when potential customers require your services on the internet. A Google AdWords Pay Per Click campaign has numerous benefits for US law firms. An expertly tailored campaign can greatly help to drive traffic to your website and help you reach out to special clients who may need your services. Lawyers are among those professionals with the most to gain from online advertising via Google’s Search and Display Networks for a number of reasons. When a law firm decides to enter the world of online paid advertising, it radically transforms its business opportunities by expanding its reach into a whole new market. Online marketing, particularly the world of PPC campaigns via Google AdWords, has enabled many law firms to accurately and conveniently target potential clients and achieve high returns on investments. However, there are still many law firms which believe that they can navigate the world of Google AdWords alone. How does a law firm select the best PPC management company? Pay Per Click advertising campaigns are an excellent way for lawyers to reach potential customers via the Internet. At Webrageous, we have over a 10 years of experience in leading successful PPC campaigns for lawyers, which makes us the best choice in lawyer PPC management across the whole of the US.. Almost 90% of our clients are in the legal industry, and we have amassed a generous amount of knowledge about the unique ways of managing paid search advertising for law firms over the years. Listed below are a few things that every lawyer should consider before outsourcing the management of a PPC campaign to a PPC management company. What’s the company’s track record for managing lawyer ppc advertising campaigns? Is Law Firm Google AdWords Right For You? You’ve heard about Google AdWords as a way of advertising your law firm’s services, but is law firm Google AdWords the right choice for you? In order to help your law firm decide if law firm Google AdWords is the right way to go, we have compiled this list of reasons why Google AdWords might be an option that your law firm should be looking at. Lawyers’ advertising needs are different from the norm, particularly when it comes to Google AdWords. That is why before throwing money into online advertising, law firms should read these all important tips about Google AdWords for lawyers. Pay per click management firm Webrageous, which specializes in managing Google AdWords for lawyers, has prepared this list of things that lawyers should absolutely be doing before launching into a Google AdWords account. 1. Research every aspect of Google AdWords for lawyers. Are you a practicing US Law Firm looking to expand business and increase client base? Have you tried all the different forms of advertising you can think of without success? Do you find it difficult to compete with other US Law Firms in your neighboring area? Invest time and money into Google AdWords Pay Per Click for law firms and Outsource your Pay Per Click Management to an experienced and reputable company full of experts. What is Google AdWords Pay Per Click? If you are unaware of what Google AdWords Pay Per Click Advertising actually is and what Google AdWords Pay per Click for law firms can actually do, there’s no need to worry as the answer is fairly straightforward. Pay Per Click Advertising is a form of online advertising which allows you to create advertisements that will appear on the search listings (the SERP) of a major online search engine. This means that when anyone on the Internet is looking for anything and they enter some keywords into the search engine’s search bar, that internet user is then presented with a series of online advertisements which they can choose from at their leisure. The thing that many people don’t realize is that some of the advertisements listed on the SERP are organic, natural listings; listings that have been naturally found by that search engine for free as it quickly scours the entire online network to find the best listings that reflect the keywords entered. However, some of the listings present on the SERP are Paid Search Listings; they are the Pay Per Click Advertisements that companies are paying for. Most people who work in the Pay Per Click Advertising Industry would agree that Google AdWords Pay Per Click Advertising is the best form of Pay Per Click Advertising because Google is the largest search engine in operation and therefore corners the majority of the online advertising market. If you want your online Pay Per Click Advertisements to be successful and draw customers in through your doors, Google AdWords Pay Per Click for law firms is the best option in existence today. This is why lots of pay per click firms now work in Google AdWords Pay Per Click for Law Firms. What does Outsourcing Google AdWords Pay Per Click Management mean? If you outsource your Pay Per Click Management, it means that you employ a group of experts to run your Google AdWords Pay Per Click Advertising Campaign for you. Many US Law Firms prefer this option as opposed to managing their Pay Per Click Advertising independently because they see much better results. Like any line of business, Google AdWords Pay Per Click Management can be complex for someone without experience to get a handle on. US Lawyers need to be fully qualified to be successful for their clients. Google AdWords Pay Per Click Managers are fully qualified in making online advertising a success. What are the Advantages of Outsourcing Google AdWords Pay Per Click for Law Firms? Google AdWords Pay Per Click Managers have experience and training in the field which means you will not run the risk of wasting advertising budget and time thanks to making silly mistakes because of your lack of knowledge in Google AdWords Pay Per Click for law firms. All Google AdWords Pay Per Click Managers keep fully up to date with all developments to Google AdWords Pay Per Click tools and features in order to offer you the most up-to-date service possible at all times. You can concentrate on your business while someone else concentrates on advertising the services or products that you offer for you. Google AdWords Pay Per Click is going to reach the largest online audience available and is therefore the best network for Pay Per Click Advertising to invest in. What is the Google AdWords Pay Per Click Consultant Option? A Google AdWords Pay Per Click Consultant is an advisor you can consult with while still managing your Google AdWords Pay Per Click campaign yourself. This might well be a tempting option for US Lawyers who are interested in improving their online advertising but want to maintain more control. Webrageous is the best company to do business with if you are an attorney trying to find the best attorney online marketing around. Our firm is highly effective in attorney online marketing thanks to years of experience in the industry and thanks to the time we spent working with US attorneys who offer legal services across a number of states in the US. However, it is more than just our experience and industry specialist knowledge that makes us the best choice if you’re trying to find the best attorney online marketing. Here are the most important reasons why your law firm should choose Webrageous when trying to find the best attorney online marketing. For even more detailed information about our services and what we can do for you and your company, please contact one of our Google AdWords Certified experts directly at any time. Without a doubt, Google AdWords PPC Advertising is one of the best forms of online marketing when you’re trying to find the best attorney online marketing. We have over 10 years of experience in managing Google AdWords Campaigns and we have always managed the campaigns of a range of US attorneys. This is why our firm has naturally developed into a center of excellence, offering everything that those who are trying to find the best attorney online marketing are looking for. It is essential for attorneys to work with PPC Management Companies who have experience in PPC Management for Law Firms, because the rules which apply to attorney advertising can be fairly complicated and restrictive. If you are working with Webrageous, you can be sure that we are already fully aware of these restrictions because of the amount of time we have already spent working in the industry. We are also aware of the way in which your potential customers operates when looking to contract an attorney for their legal needs. This helps us to better optimize each attorney PPC Campaign that we are asked to manage every time. In addition, the PPC Managers at Webrageous are all Google AdWords Certified (all qualifications were just updated last month), they all hold at least a Masters Degree in Marketing, and one member of the team also lectures in Marketing at a University level. Therefore, when looking for a Google AdWords Expert to manage the online marketing needs of your law firm, it is doubtful that you will find better and more equipped attorney marketing experts than those at Webrageous. Sometimes, US attorneys look for Google AdWords advice but do not want someone else to take on the entire management of their online marketing campaigns. Webrageous can be of great use in this instance, too. We offer what is known as Google AdWords Consulting Services. This means that we are available to help and guide you through the individual management of your PPC Advertising, but we will not be responsible for the actual management of your campaigns in any way. It is useful to consult our Google AdWords Experts if you are advertising your attorney services online because of the extensive experience we have developed over the years as we continue to work with those trying to find the best attorney online marketing available. Webrageous also has access to its very own personal representative from Google. This means that if you have any issues about your PPC Campaign, our company will be able to investigate into the subject for you by going directly to the source. Aside from managing your PPC Campaigns, Webrageous also offers SEO driven content detailing the important information about your attorney services, to be regularly posted on your website or blog as part of that online marketing package that we offer you. That’s a huge plus for those trying to find the best attorney online marketing around. This service is not available for all attorney online marketing clients. After assessing the needs of your law firm, we will be able to confirm whether this service would be something that your attorney marketing campaign would benefit from or not. However, it is important to highlight that the service exists and that, at Webrageous, we believe in experimenting with a combination of many forms of online marketing (including PPC and SEO) in order to find the best attorney online marketing results. If your law firm has a blog, it is best to have one of our professional writers produce daily content for your site. This can help improve the quality score of your website, take advantage of the leads you might get from the Google Organic Search and provide more information in general for potential clients who visit your website. In our experience, attorney websites which share relevant and useful content on a regular basis are those which generate more leads from potential clients. Anyone who has tried to find the best attorney online marketing in the past and has seen real results can attest to that fact. Webrageous is incredibly experienced in Paid Search, Google Display and online advertising for attorneys via the Mobile Network too. Our services are broad and all-encompassing. That makes us the best solution for those trying to find the best attorney online marketing there is. We ensure that all your online marketing needs are covered. Attorneys need to focus on emphasizing their brand, because this helps to generate trust and authority (two very important elements for any law firm advertising online) and the Google AdWords Display Network is perfect for this. Paid Search Campaigns are the best way of increasing traffic, generating more leads and increasing conversions. In 2012, it is vital that all attorneys begin to use the Mobile Network for online advertising, because the number of people using mobile devices to do research and surf the Internet is growing rapidly. It is estimated that the mobile device will soon overtake the use of PCs and laptops, particularly in the US, and this is why it is important to begin using the mobile network as a way of advertising your legal services as soon as possible. Once you find the best attorney online marketing service around, there’s no problem in doing that. Throughout this post, we have highlighted the many reasons why our PPC experts are the best in online marketing for attorneys, but we do not expect you to believe us unconditionally without cause. The A+ Rating that our company has been awarded by the Better Business Bureau is also something that we are very proud of and is clearly reflective of our hard work and impressive client care. For further information, contact Director of Marketing, David Chapman, at any time. All contact details can be found in the top right hand corner of this page and we are happy to hear from you about any concern you might have at any time. Divorce attorney advertising must focus on the mobile network and mobile network campaigns in order to avoid missing out on a wide range of the online market in 2012. Marin Software recently released “The State of Mobile Search Advertising,” which explains through evidence how the search and paid-search markets are now profoundly affected by mobile devices. The statistics show a triple-digit growth in every category and prove that both smart phones and tablets will eventually combine to generate 25 percent of all Google’s paid search clicks in the US by the end of this year. Indeed, Marin’s report estimates that nearly one-quarter (23 percent) of Google’s US paid-search spend by the time we reach December 2012 will be generated from mobile campaigns. Yes, this impacts every possible business, even those in the law industry. If you are a divorce attorney and you need help with your online marketing and ppc campaigns, Webrageous will be able to help you. Our ppc managers are both specialists in divorce attorney marketing as well as mobile divorce attorney marketing. We can help you with your website design to ensure that your mobile divorce attorney marketing is fully optimized for the mobile network, but we can also manage your ppc campaigns in such a way as to appeal to the needs and style of the mobile network target audience. For more information on the way in which we approach mobile divorce attorney marketing, contact us directly by clicking on the contact tab above in the top right hand corner of this page. However, don’t forget about the ppc management services that we offer in paid search campaigns and display network campaigns too, which are just as important to all divorce attorneys who choose to advertise via Google AdWords. As a quick insight into the most important area of divorce attorney ppc marketing to get right, without fail, read the attached article entitled, PPC Advertising Ideas that Divorce Attorney Marketing Campaigns Should Ignore, today. Divorce attorneys across the US turn to Webrageous for all their marketing needs, basic paid search campaigns, display network campaigns and mobile network ideas because we have many years of experience in this area to help us find the solutions to your marketing needs in record time. 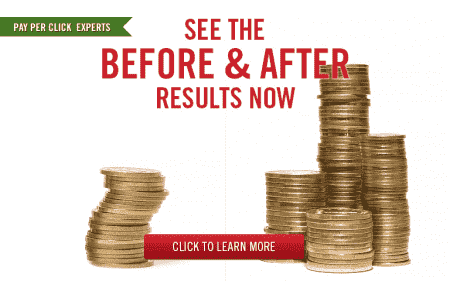 Why are we the best attorney advertising experts? Not every single PPC Manager will have the skills or the knowledge to help attorneys get the best advertising services. If you want the best attorney advertising, it requires specialists in the field, just like any other form of online advertising. This is why the PPC Management team at Webrageous spends the majority of their time focusing on what is needed to ensure the best attorney advertising success. We do have other clients in other fields that utilize our services and reap the benefits of their marketing strategies that we put in place for them. However, giving the best attorney advertising is definitely our specialty. It is where our strengths lie because it is where we focus our attention and efforts. Therefore, if you have a law firm and you need help with your online advertising, contact Webrageous for a no-obligation analysis of the advertising campaign that you already have in place. If you do not have anything in place yet, then we are more than happy to give you information and advice about how to put one in place from scratch. In addition, take the time to find out a little more about Webrageous and how we approach attorney advertising via Google AdWords PPC by reading the article, 10 Ways to Succeed in Attorney Marketing, without further delay. We know that after reading this detailed article you will be even more convinced to give our company a try and contact our PPC Management Experts directly. Online marketing for law firms comes down to focusing on natural search optimization and/or paid search. The contents of your site need to include your law firm’s certificates, practice skill, area of expertise together with other information which might be useful for people looking for legal assistance. 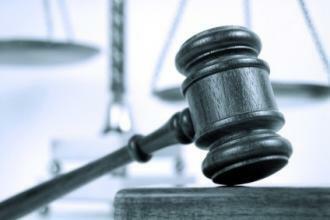 Promoting law firms online also calls for testimonies from your satisfied clients. Another sort of marketing activity in this field includes taking part in search engine optimization programs. If you have an interest in search optimization and/or Google AdWords management we would be happy to help you. Why does a US Lawyer Need Pay Per Click Advertising? There are many forms of advertising for US lawyers, both online and offline. So why is it so important that a US lawyer makes use of pay per click advertising in the 21st century? 1. Pay per click advertising is available to all US lawyers on any budget. Via pay per click networks, such as Google AdWords, there is no minimum budget for any pay per click advertising campaign. Therefore, if your US law firm does not have a huge amount of money to spend on advertising, you can still take advantage of what pay per click advertising has to offer and still generate successful results from that advertising. Google Remarketing is not just a way of better targeting your potential online audience. Google Remarketing is also an excellent way of allowing law firms to save money on their pay per click advertising campaigns whilst continuing to generate more leads and clients for their legal practices. Webrageous is an expert in law firm pay per click management and highly deft at managing the use of Google Remarketing to put its law firm clients’ budgets to better use on a daily basis. Through the use of Google Remarketing, Webrageous will be able to help your law firm save money on its pay per click advertising and generate more clients at the same time. Webrageous manages the pay per click advertising campaigns of many different kinds of law firms. We work with family and divorce lawyers, personal injury lawyers, employment discrimination lawyers and lawyers who take on drug liability and medical device injury claims as well. The lawyer online marketing experts who work for Webrageous have plenty of strategies and tips to share about lawyer online marketing with existing and potential lawyer clients every single day. The more we work with lawyers on their online marketing campaigns, the more we learn, develop and strengthen the kind of results in lawyer online marketing that our clients cannot find anywhere else. Webrageous, expert lawyer online marketing company, wants to share some of its recent successes in online marketing for lawyers in this short post. One of our present lawyer clients has received a total of 20 calls and 4 people have filled out this client’s website contact form within the last month alone thanks to the expert lawyer online marketing management that Webrageous has provided. These figures total to a number of 24 leads from this lawyer’s online marketing campaign from just one month of Google AdWords online marketing and the cost per lead of each of these 24 leads can be broken down into costing our lawyer client only $30 at a time. These are some of the best results that this client has seen from his lawyer online marketing campaign via Google AdWords and the results indicate that things will improve even further as we move into the 2nd month of advertising, which means there is a lot of room for further success as we take our lawyer online advertising client even further onwards to dizzying heights. Look at some of our lawyer online marketing successes directly to get even more of an idea about the successes that our lawyer online marketing clients have enjoyed by outsourcing their online marketing to Webrageous today. We hope that evidence of all the success that we can already claim from working with our present lawyer clients will encourage you to bring your lawyer online marketing needs to the attention of our experts without further delay. We are looking forward to hearing from you soon. 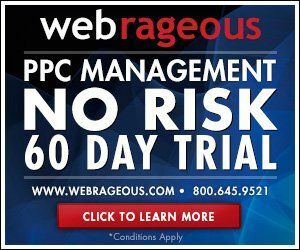 Pharmaceutical injury pay per click management company, Webrageous, is ready able to help you with all your pharmaceutical injury pay per click advertising needs. There are many things to take into consideration concerning pharmaceutical injury pay per click management at present, mainly because of the fact that the rules and regulations set out by the various pay per click advertising forums regarding pharmaceutical injury pay per click are becoming tighter and tighter by the day.